Marvel has provided the following advanced preview for Deadpool and the Mercs for Money #4. 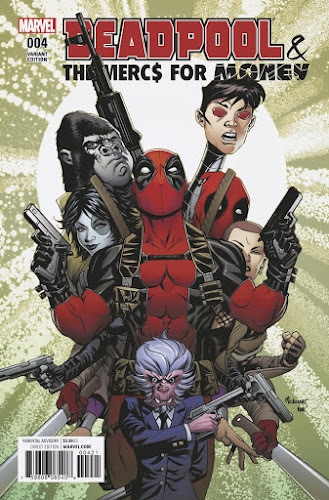 DEADPOOL AND THE MERCS FOR MONEY #4! 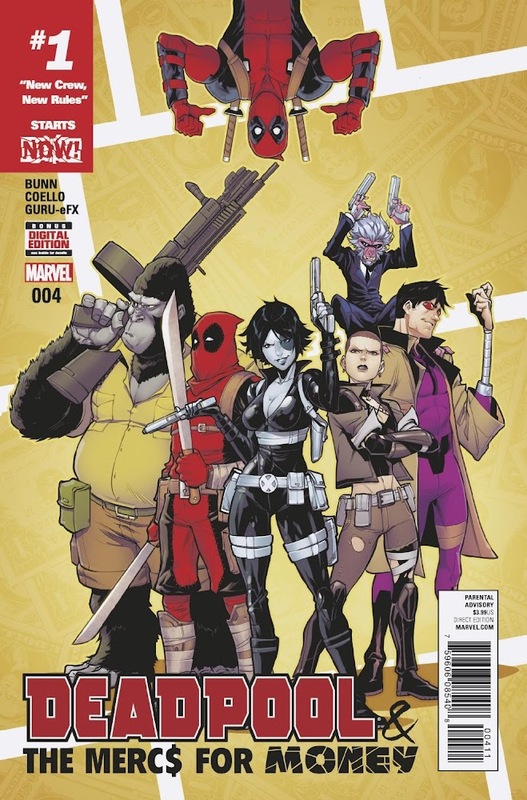 New York, NY—September 8th, 2016 — Get ready to meet the all-new Mercs for Money this October! Wait, a new team already? Guess that’s what happens when the old team quits and goes solo. 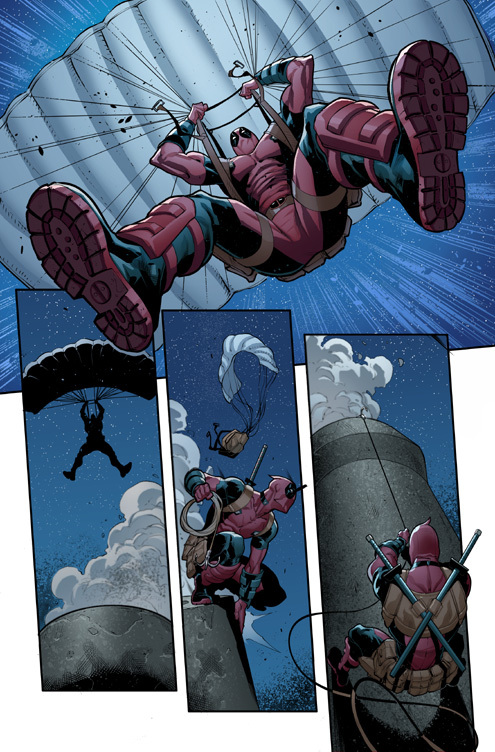 Today, get your first look inside DEADPOOL AND THE MERCS FOR MONEY #4 – the first chapter of “New Crew, New Rules”. The Mercs crash headlong into Marvel NOW! 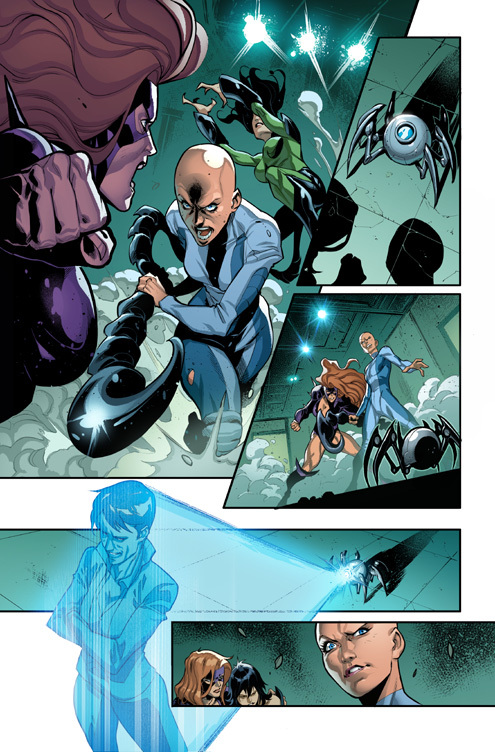 as a brand new team leader steps into the fore. 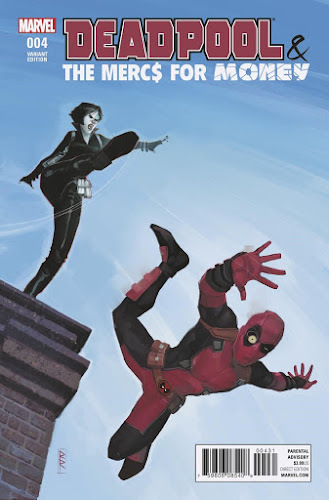 Wait, isn’t Deadpool’s name on the cover? What gives? 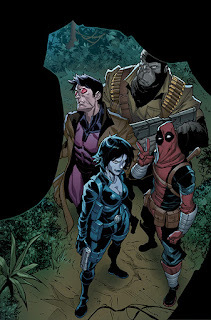 That’s right, new team leader Domino is here and she’s packing a brand-new team of highly trained mercenaries – Masacre, Machine Man, Hit-Monkey, Negasonic Teenage Warhead and Gorilla-Man. You’re going to “go bananas” for this new team, True Believer! We promise it’s not because their ranks include two monkeys. 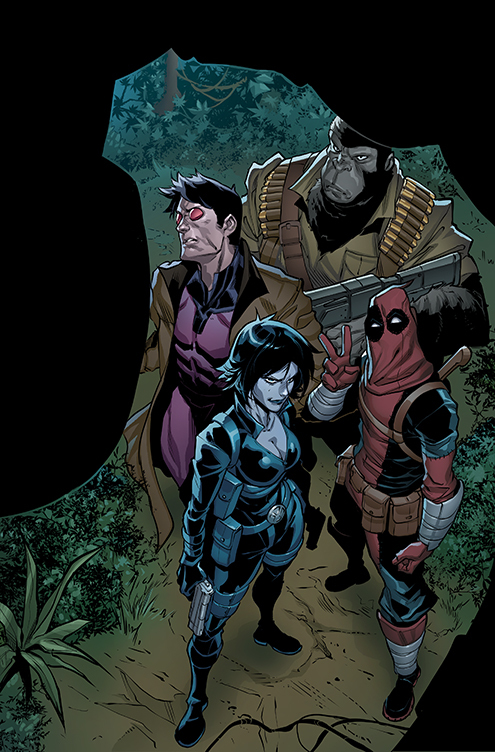 Yes we know Gorilla-Man is technically an ape. Stop writing us letters. Get your first look at this new team this October when they come to comic shops and digital devices in DEADPOOL AND THE MERCS FOR MONEY #4!